Grade 2 dressed to impress for a live theater performance of the Magic Tree House: Pirates Past Noon at the Warner Theatre in Torrington. 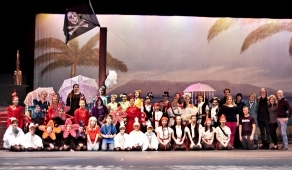 Students were especially impressed with Wakelee's own, Avery Giglio’s performance as part of this talented cast. It was a great show!